Offering you a complete choice of products which include material handling systems, cable pulling machine, electric winch, wire rope winch, hydraulic fork stacker and expandable conveyor. 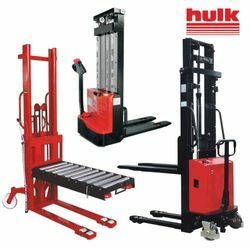 Lokpal Industries is a leading manufacturer of Hulk Brand Material Handling systems of all types. 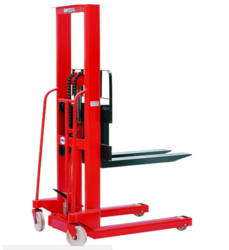 We can offer Hydraulic elevators. 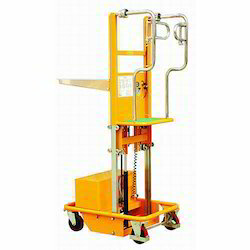 These elevators do not require any Machine room or pit. 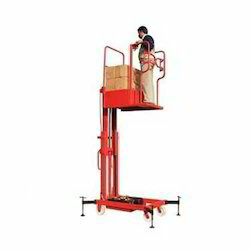 The Elevator can also be installed if there is no provision for Lift shaft. 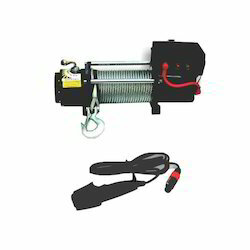 With the aid of modern machinery and technology, we have been able to manufacture and supply Hand Winch. Following industry defined guidelines, our highly experienced professionals manufacture the entire range by using contemporary machines, modernize technology and prime grade raw material. 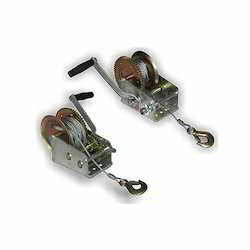 In order to ensure quality, these winch are thoroughly tested upon a series of parameters. 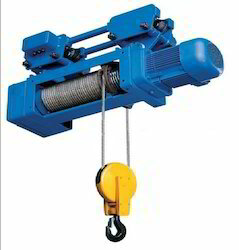 Moreover, clients can avail the provided winch from us at nominal prices within given span of time. 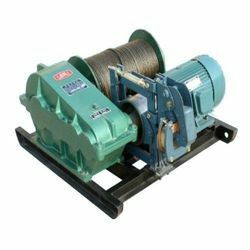 Known in the market as a manufacturer and supplier, we are engaged in offering Wire Rope Winches. Following industry defined guidelines, manufacture by using contemporary machines, modernize technology and prime grade raw material at our end. 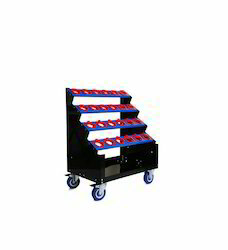 In order to ensure quality, the trolley hand truck is thoroughly tested upon a series of parameters. In tune with clients' diverse requirements, we offer the entire products in a wide range of specifications. 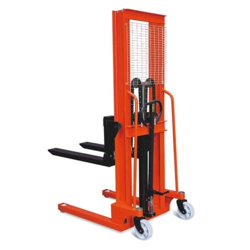 We are the largest supplier of Hydraulic Fork Stacker Battery Operated. 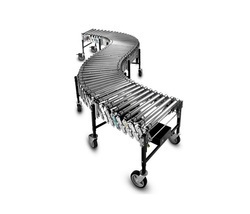 Being a well-established organization, we bring forth an excellent assortment of Expandable Conveyor. The provided product is designed using quality approved raw material and latest technology with set universal standards. 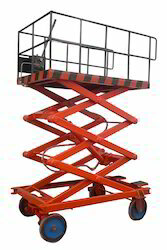 We are offering Hydraulic Stackerbattery operated to the clients. We are the largest supplier of Gravity Conveyor. 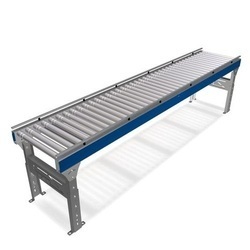 We are engaged in offering Industrial Packing Conveyors to our clients. 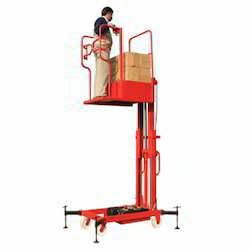 Battery Operated Hydraulic Stackers are AC operated stackers which do not have any Battery or battery charger. 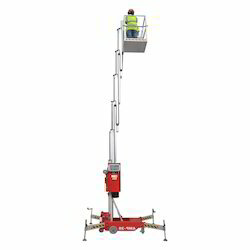 They are connected Directly to the AC connection and can be used for lifting without ever worring about the Battery discharge condition. A manual Standby pump is available for use in case of electric failure or in places inaccessilble to electric points. 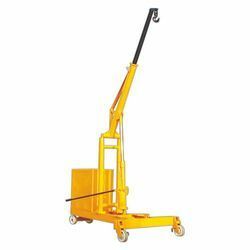 We at Lokpal Offer all types of Hydraulic Floor cranes. Counter balance, extended boom Crane. 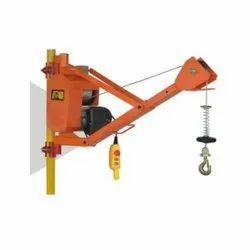 U frame type crane, Electrohydraulic floor crane. 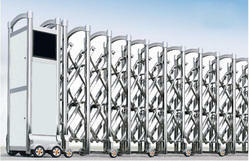 Automatic retractable gates are designed for broad openings. They are generally installed at parking lots, hotels, main entrances of Industries, Stadiums, malls and cinema halls etc. and all such locations where there is a need to check the entry and exit of vehicles as well as the crowds. These gates have a flexible designed for security & control applications which gets compressed to a minimal space when in open position and do not require vast amount of space for operation in comparison with the conventional gates. These retractable gates are manufactured in various designs and specifications to match client’s satisfaction and needs. These gates can be tailored to suit the site requirement with various height and length options. Incredibly affordable, easy to install, extremely low cost requiring minimal maintenance makes LOKPAL INDUSTRIES Retractable gates the favourite choice of the security industry providing compact, convenient and secure entrance limiting solution. Are available in stainless steel. The unique infrared anti- collision system ensures safety of passengers and vehicles by retracting backwards automatically at a distance of 20-25cm away from any kind of obstruction. We are providing Scaffolding System to our client.